A day late--I was hoping something would go up on DSTU yesterday, but as it hasn't, I'll write this, rather than missing a year of BADD. To read our past six, more punctual entries, see 2006, 2007, 2008, 2009, 2010, and 2011. The official list of contributions for BADD 2012 is growing at the Goldfish's blog, and you can follow the @BADDtweets account on Twitter for updates. 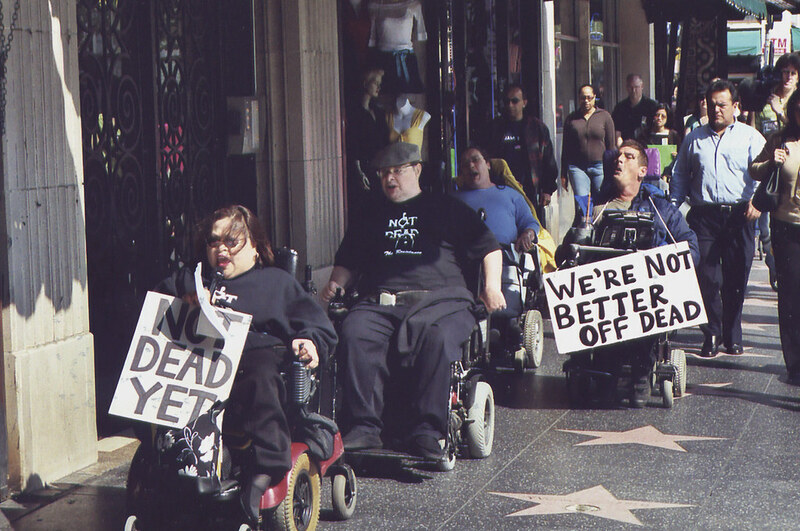 in power chairs roll past stars on the Hollywood Walk of Fame, with walking protestors behind them. (I'm just barely visible at the way back.) Photo by Cathy Cole. 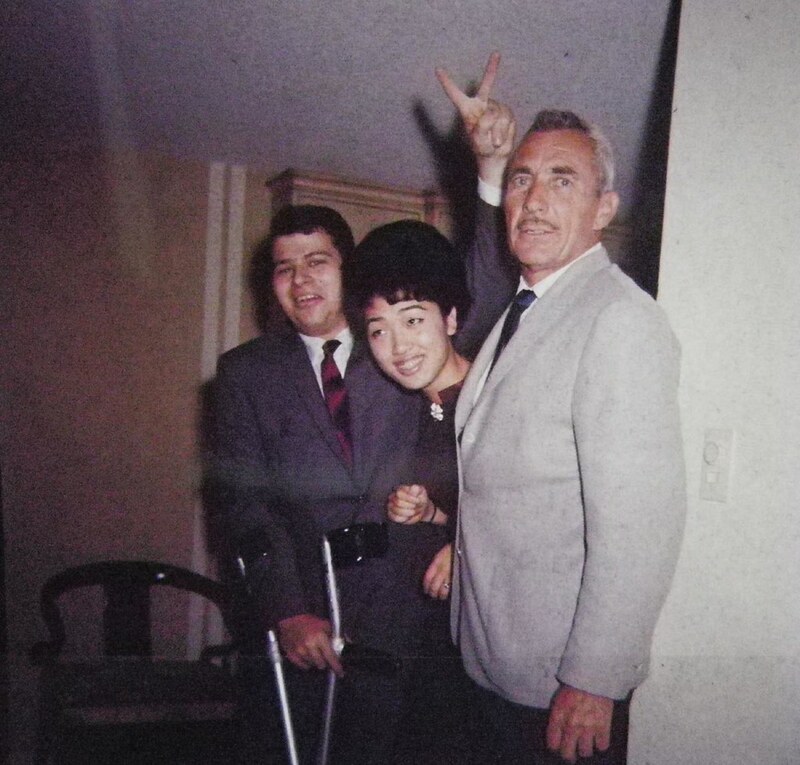 one is an young Asian woman, and one is an older white man with a mustache. Issaac Perlman while clean out my fathers sheet music cabinet." with very white collar and cuffs; white socks and black maryjanes. She's standing outdoors, in front of blooming flowers and a stone wall. Photo from the account of Joshua Black Wilkins, who writes, "My aunt Karen. 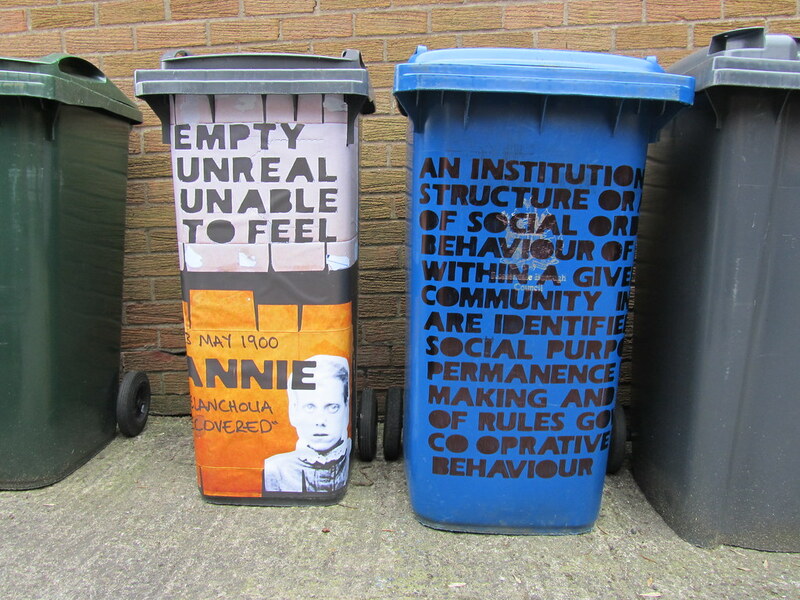 Art piece by Al Shep, titled clinical waste / institutionalisation, which addresses the history of asylums. permanence, rules). Other images of the project are here. Photo by Al Shep. A portrait of Jack Smith, of Rhodell, West Virginia, made by photographer Jack Corn in 1974; he is a white man in his early 40s with sandy hair. His arms are crossed, showing his watch and wedding ring; he does not have legs. 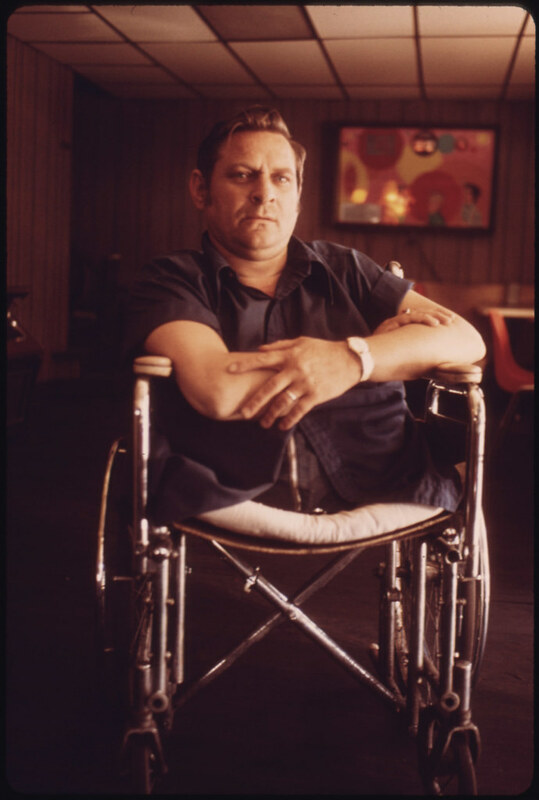 Jack Smith was disabled in mining accident, and became active with the United Mine Workers Union during his eighteen-year struggle for worker's compensation. Photo from the US National Archives, Documerica set, in Flickr Commons.